This is part 4 in the “Autism Rules” series highlighting some common aspects of parenting. The term “rule” is used very loosely but hopefully you relate to a few of them! 36. You have more patience for your child and less for everyone else. Either that or I’m getting considerably more snarly as I get older. 37. Your child’s next special interest will be a subject that is no longer sold in stores. you are probably a preferred customer on eBay and Amazon. 38. If your child eats chicken nuggets, you will also be eating a lot of chicken nuggets. 39. Nothing can cause a meltdown faster than losing the wifi signal. 40. 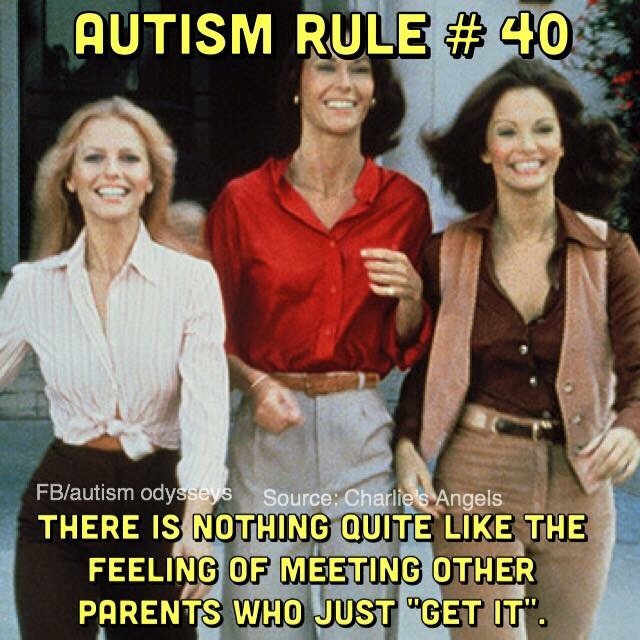 There is nothing quite like the feeling of meeting other parents who just “get it”. In my world, conversations turn quickly to medication and poop. 41. You have a developed an appreciation for the lines and arrangements in your life. Whether it’s cars, donuts, plushies etc! 42. Finding humor in difficult situations is an important coping mechanism. Seriously, I couldn’t make up some of the stuff that has happened in my house! 43. Anytime you tell yourself that you hope the school doesn’t call is usually when the school calls. Jinx! 44. You know that substituting a preferred food item with a non-preferred might not have a favorable outcome. In this case, Dean got cake when he wanted pie. 45. You have an infinite amount of patience for your children, but little left for anyone else. This topic has been heavy on my mind recently since it’s on here twice! Which rules am I missing?